Years ago my friend Jana came up with the concept of “the one thing.” Let me explain. Let’s say that you needed to fix an easy and inexpensive meal for your family, but wanted to make it seem a little more special. For instance, spaghetti. No meatballs, no fancy ingredients, just boiled noodles and a jar of sauce. Not very special, right? Enter “the one thing.” Freshly grated parmesan cheese all over the top. BAM! Suddenly the simple became a little more special. That concept has helped me through many a boring meal, but applies to so much more. Namely, home decor. 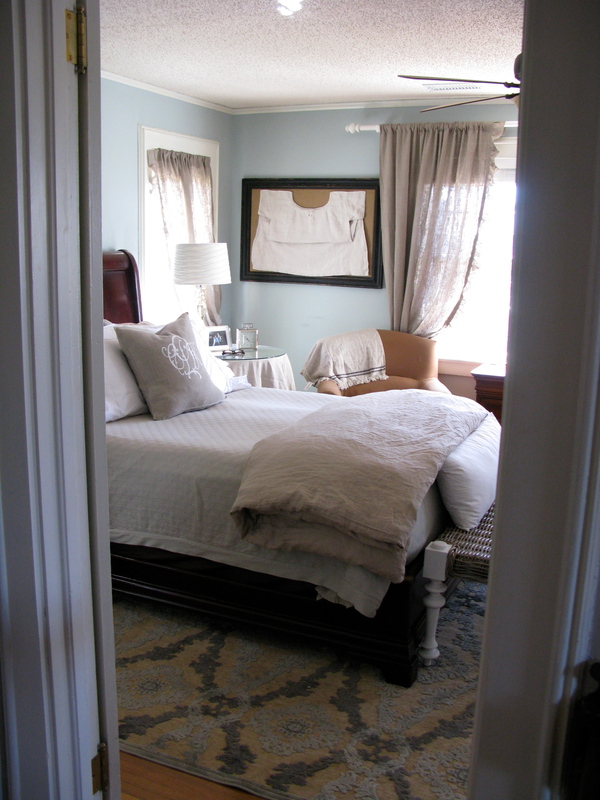 Our master bedroom is far from perfect. Nor is it close to complete, but I do love the wall color, the crisp molding and woodwork, and the copious amounts of light that pour in. Oh, and the views. Check this out. 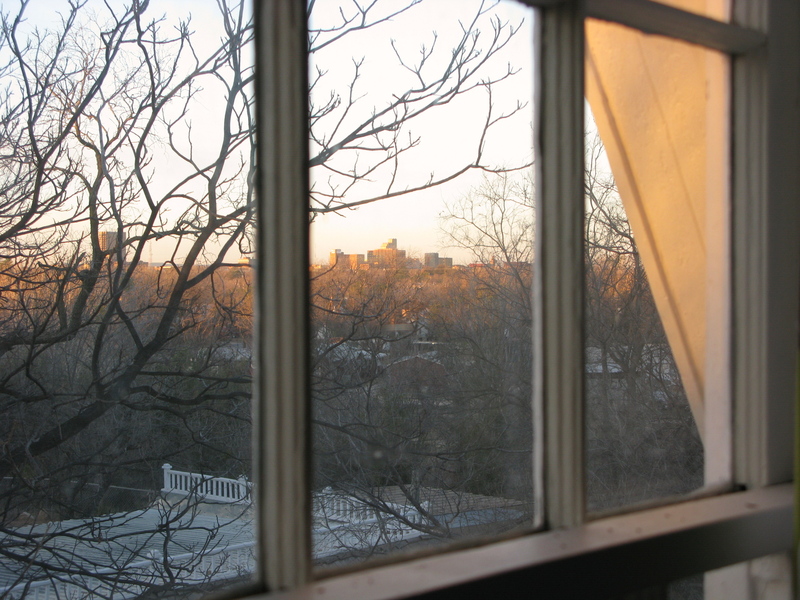 A lovely view of downtown and sunrise over Cedar Creek. Not a bad way to wake up. Anyway, I didn’t want to feel like I had to rush to get the master just so. I want to enjoy nesting, not get in a hurry, and make hurried purchases without giving them a good deal of thought. That’s where “the one thing” comes in. Something that is lovely, special, that I will love for a long time, and keeps me from rushing to “finish” the room. So what is my “one thing” in the master? 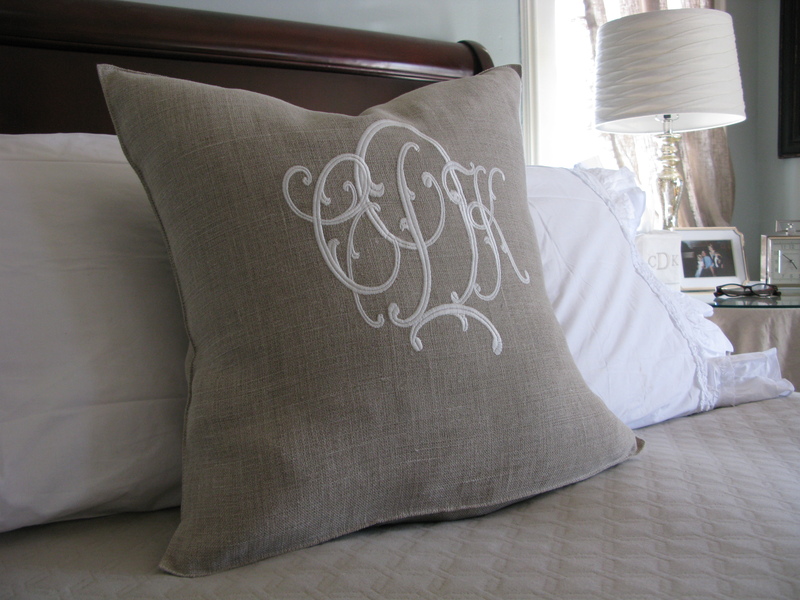 This gorgeous linen monogrammed pillow from Number Four Eleven in Savannah, Georgia. Oh, the detail. Perfection. Cheap? Not really, but if you compare the cost to, say, all new linens or a piece of furniture, it isn’t a huge expense. And I love it. 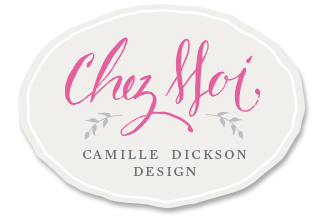 They have lots of fonts and monograms to choose from. 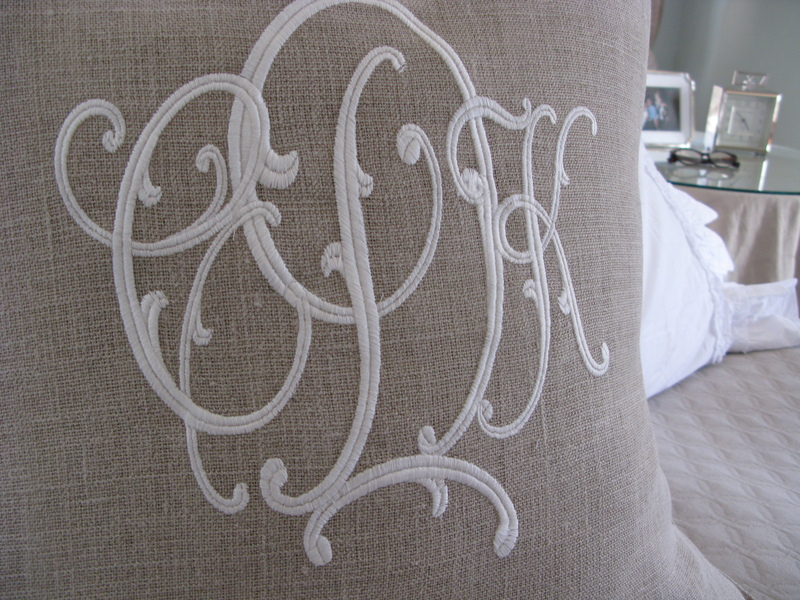 They even have a Vintage Monogram Program for custom designs. Oh, and Number Four Eleven has no idea who I am. I’m just over the moon about my pillow! Happy Friday, friends! Gotta love the “one thing” concept. It still gets me through many a sub-par experience. 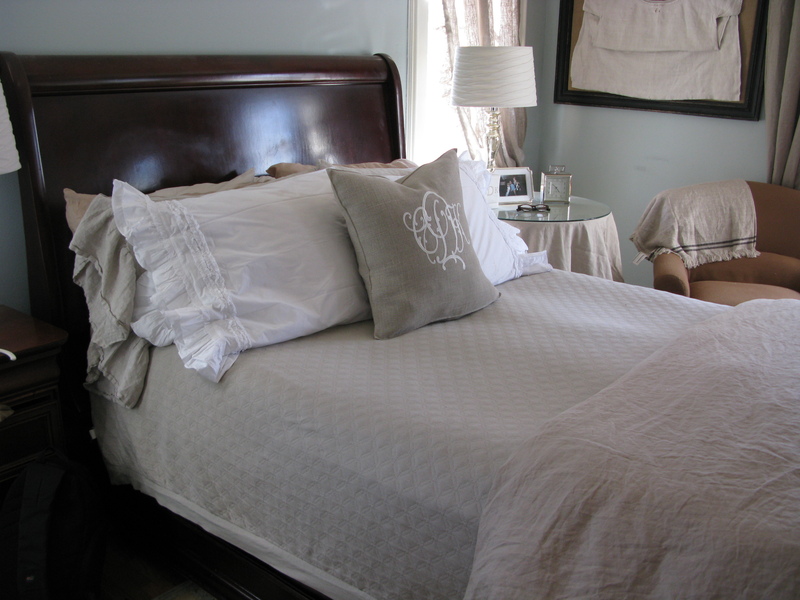 Adore the pillow—-and you! YOU, my dear, have gotten me through many a sub-par experience. With generous amounts of laughter. Love you! I love No. Four Eleven! The last time we were in Savannah, one of the ladies saw on my blog we were going to be there and she contacted me about stopping by the shop. I was in heaven when I got there! I bought the most beautiful burlap tote which I got monogrammed and when my daughter saw it, she wanted one too. They were in Savannah the next month and she stopped by and got hers. It is a gorgeous store and they folks there couldn’t be nicer. I could not agree more, Judy. The staff there was kind and helpful. I’m hoping that one of these days I’ll get to actually visit their shop! And now I must go look at their tote offerings. Thanks for your comment, Judy!